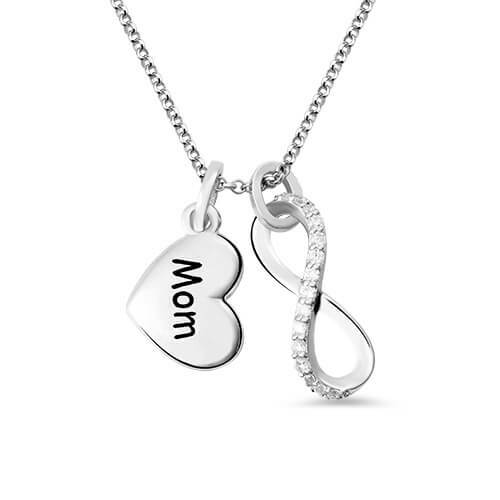 Celebrate the special person who has your heart with this elegant personalized Heart infinity pendant necklace.This design put an classic infinity symbol pendant and heart pendant together. 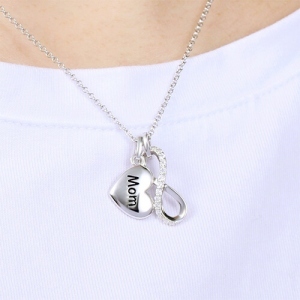 Our special necklace is a passionate way to express the boundlessness of love, You can choice engraving any words, date on the heart pendant up to 8 character. 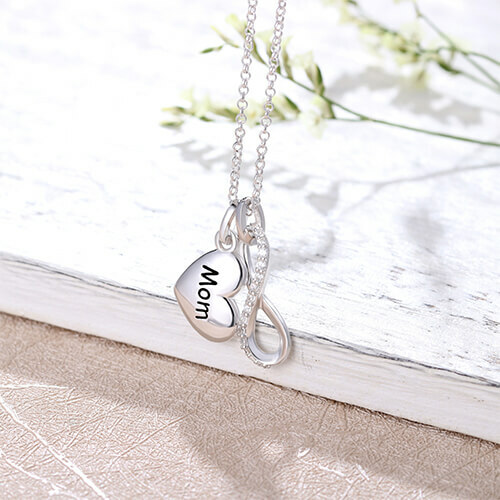 Expertly handcrafted in 925 sterling silver.On the infinity pendent decorated a row shining Cubic Zirconia, when you wear it looks glittering and make it more eye-catching. This pendant is the perfect gift for a woman who means everything to you. She will never forget how loved she is when she's wearing this gorgeous symbol of eternal love. The necklace also a great surprise for your mother. show your love for her is endless. Express in your heart nothing can replace your mother's love.